If you’re a fitness buff, you probably know it can be an expensive hobby. Plain old gym memberships are just the start. You might also hemorrhage cash on stupid-expensive workout clothes or fancy dietary supplements. And if you get sucked into the boutique fitness vortex (been there! ), heaven help you. Some of those classes cost more than $20… for a single hour. Even if it would be a stretch to call fitness your “hobby,” per se, you shouldn’t have to weaken your wallet to stay physically strong. TPH editor and fitness blogger Caitlin Constantine is no stranger to workout-related expenses. As a triathlete, a huge chunk of her disposable cash goes toward racing fees and nutrition. But she knows staying in shape can lengthen and improve lives in every way from preventing injury to counterbalancing mental health issues, so she’s passionate about deconstructing the myth that fitness has to be complicated and expensive. “It’s our birthright as human beings to be able to use our bodies and make the most of them,” she says. So she was thrilled to share the details on the cheap home gym she built to help her cross-train cheaply and conveniently — all for less than $100. Constantine started working out nearly a decade ago, when she met the marathon runner who would later become her husband. She wanted to get healthier and build the mental strength that comes with a physically strong body. It was all about the journey, and it was a long one. She hadn’t been athletic growing up. In fact, when she started getting into fitness in her late 20s, she was a smoker who was winded after running just one block. 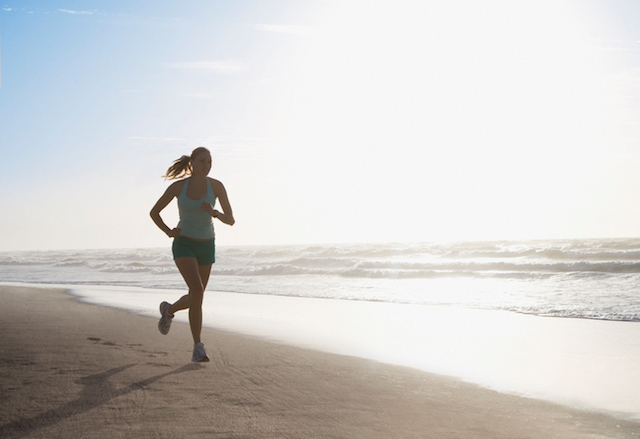 But soon enough, running captured her heart — and catapulted her into a health-driven lifestyle. Because she knew it was the only way to become a better runner, she was finally able to quit smoking. Now, she’s an Ironman triathlete. She’s also competed (and placed!) in a ton of other races, including a 50-mile ultramarathon in the Florida Keys. I think it’s safe to say she’s got a new addiction. But those race fees add up, to say nothing of all the time and energy she spends on her extensive training. Why add in extra hours slogging back and forth to a gym? To ditch the expense of her fitness membership, Constantine built a home gym for under $100. If that still seems pricy to you, keep in mind: You might spend that for just five Pure Barre classes or a few months of a gym membership. That doesn’t count activation fees or the gas you’ll spend getting there and back. Once you stock your home gym, it’s yours to keep — no membership renewal necessary. Here’s what’s in Constantine’s workout room, and how she uses it. You can amp up nearly every classic exercise you can think of by adding extra resistance. The cheapest way to do that? 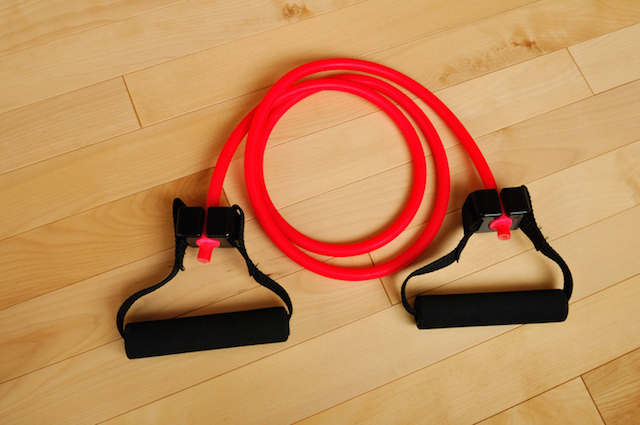 Resistance bands. Constantine found hers at a sports store for $12, but you can find them online starting for less than $10. They usually come in a set of three different tensile strengths, so you can customize your workout. Constantine notes they’re a great addition to any runner’s fitness regime. “As a runner, I’m constantly trying to strengthen my hips,” she says. Doing resistance-assisted clamshells and leg lifts helps her accomplish that goal, and also helps with her running-related knee issues. Ah, the stability ball. Turns out it’s good for more than just replacing your office chair and making your colleagues feel lazy! “I like the exercise ball because it’s good for doing a lot of core work,” says Constantine. And as awesome as the stability ball is for core work, you’ll find you can use it for everything from glutes to arms. Tons of full-body workouts require nothing but a properly sized stability ball. Plus, they’re dirt cheap — starting at $10 and going up to about $30, depending on the size and brand. Exercises: Bicep curls, shoulder press, overhead triceps extension, all sorts of rows, flyes, deadlifts, the works! Full disclosure: This is the most expensive item on the list. Dumbbells can go for $20 or more each — and yes, that means a single dumbbell, not a set of two. That said, dumbbells are awesome. They’re one of the most versatile and long-lived pieces of equipment you can add to your home gym. Constantine sprung for two pairs — a 10- and 20-pound set, which she uses for everything from chest press lying on her stability ball to deadlifts. Hers cost about $20 each, but the lighter ones are slightly cheaper if you’re not on Constantine’s super-strong level quite yet. 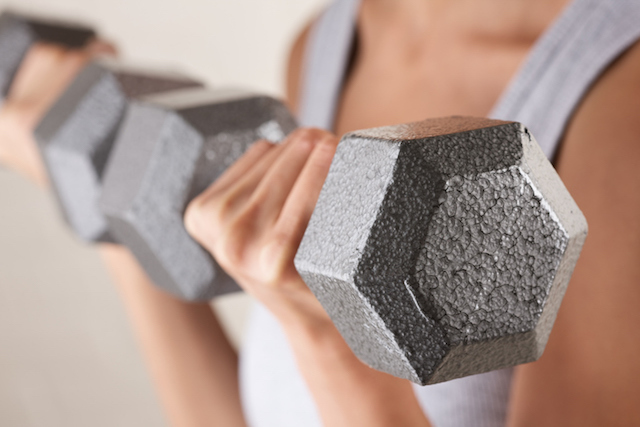 If you’re just starting out and aren’t sure where you stand — or squat, as the case may be — you might consider snapping up a set of several dumbbells, or an adjustable version. That way, you’ll have a few options to choose from, and you can scale in either direction if things prove to be to heavy (or too light!). You can also find them (and anything else on the list!) pre-owned on Craigslist to cut your costs even further. This even goes for bigger pieces of equipment if you have a special interest in weight training. Although you can craft an effective workout with any or all of the home gym equipment listed above, Constantine also picked up a few more odds and ends. 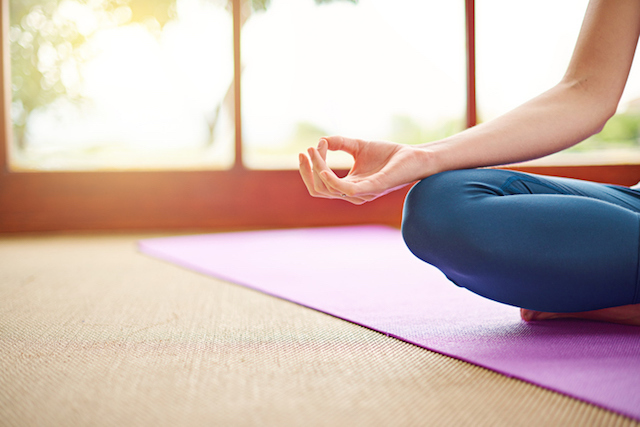 Since she practices yoga (psst — here are some great free yoga videos on YouTube!) to round out her intense training, she’s got a yoga mat. You can get one as cheap as $20 or get fancy — Manduka mats are pretty expensive, but they do offer a lifetime warranty! And her next purchase? A doorway chin-up bar, as long as she can find a good place in her home to install it. They cost between $20 and $40, and work way more body parts than just your arms: core, back, shoulders, you name it. Since Constantine’s a capital-A Athlete, she supplements her at-home workouts with a strenuous training program involving long runs, swims and bike rides. But you don’t have to be in a competitive sport to be fit and healthy — or to reap the life-changing benefits of a commitment to fitness. “All the triathlon stuff that I do, that’s way extra,” Constantine says. She considers it her hobby. “I feel like there’s this tendency to make fitness seem more complicated than it actually needs to be,” she says — partially because fitness is a huge and profitable industry. But you don’t have to pay a coach or buy a gym membership to be healthy. No matter what, just do something that’s not sitting for at least an hour every day. It doesn’t have to be intense or unpleasant — in fact, it should be fun! So pick an activity — any activity — you enjoy and get moving. Yes, dancing around in your underwear or playfully chasing your toddler around the backyard both count. Ideally, you’ll get your heart rate up, do some weight-bearing exercises to keep your muscles strong, and stretch enough to maintain your flexibility. But it doesn’t have to be complex. Constantine’s favorite full-body workout? The humble push-up. It’s about how good it feels to live your life in a strong, capable, not-sick body. So you should do what you can to take care of it — especially if it doesn’t have to cost very much. Jamie Cattanach is a contributor for The Penny Hoarder. Her writing has also been featured at Word Riot, DMQ Review, Hinchas de Poesia and elsewhere. Find @JamieCattanach on Twitter to wave hello.